Local Trust - What difference can £140m make? 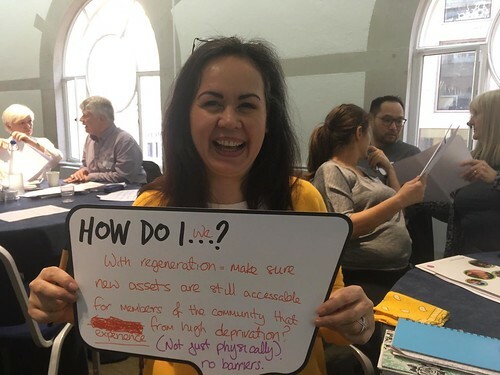 In response to the news that the Prime Minister pledges to transform sink estates, I've been reflecting on what we're learning from Big Local. Most of us want the same things out of life: to be healthier, wealthier and happier. We want to have a home, to have choices, to feel safe and to feel valued. As residents, we have a huge amount of knowledge about our areas, what works well locally and what needs to change. So it’s no surprise that in Big Local, we’re seeing that investments make a difference when it’s local residents who are in control. Using £1m each and a range of support, the 150 communities that we work with are coming up with effective local solutions to local problems, such as poor quality housing, unemployment and a lack of opportunities for young people. Big Local is resident-led and our long term approach to community based regeneration (or area based initiatives) provides skills, confidence and funding to residents. Residents then make a difference to the things that matter most to them so that they feel that their area is an even better place to live. The programme has learnt from previous regeneration programmes in the UK and abroad. We’ve seen many examples of residents working with neighbours to identify issues; gain skills and confidence and make a difference - frequently working with local businesses, agencies and charities. 1. Harness the passion and commitment of residents, they know what could make a difference; bring residents, charities, public services and businesses together to find local solutions. 2. Build trust; encourage neighbourliness and peer support; help people gain skills and confidence; take time to listen and engage. 3. Take a positive, asset based approach; build in spaces for community activity and work with those who live in the places you pledge to transform.